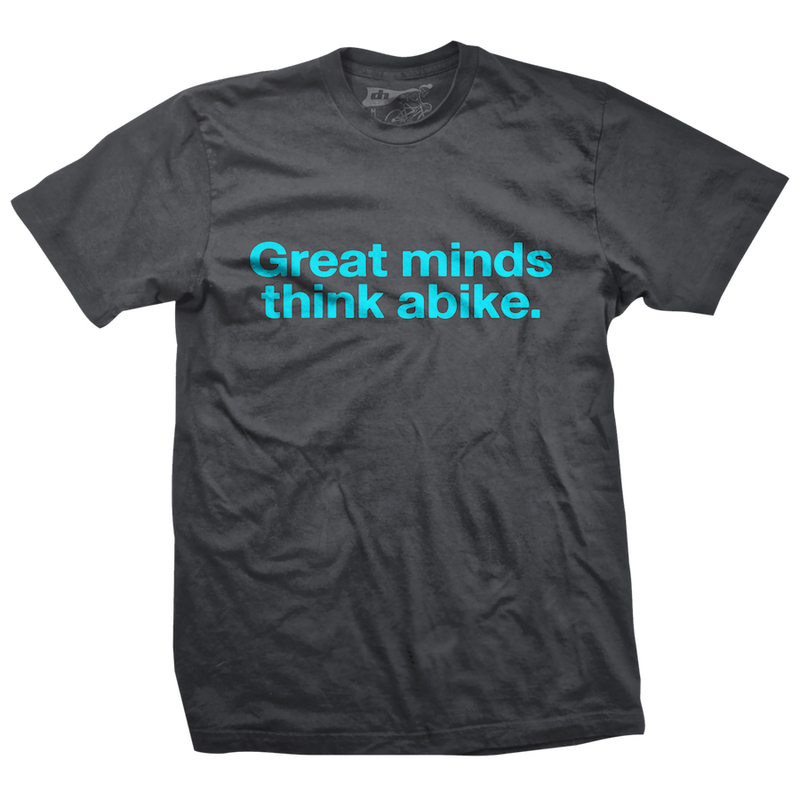 Great Minds Think Abike. I'm pretty sure that's how the old saying goes. Who could possibly argue with that? Heavy Metal grey shirt with light blue lettering graphic. 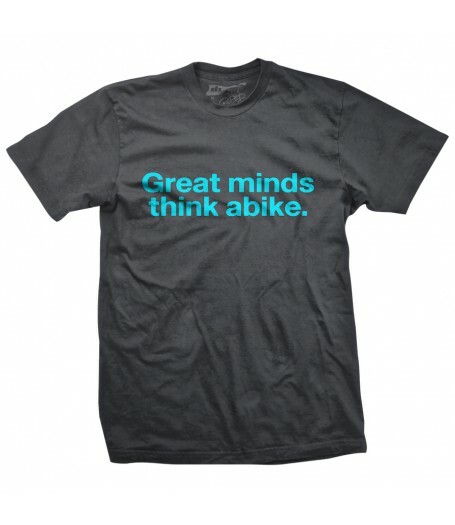 Shirts are 100% soft cotton.